I know they call themselfs sisters but i have reasons to belive that the are not really related.Why? "Your hair looked like that?" What relm is Icy from? What's on the season 1 disc? 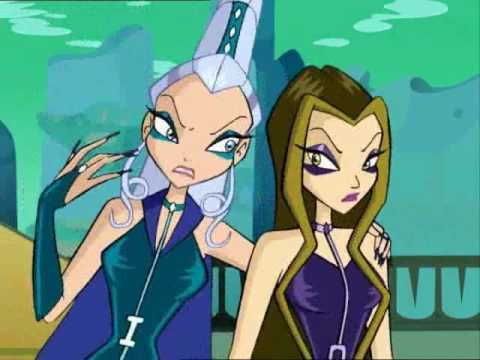 well it's kind of hardXD they aren't sisters becose they came from the evil enchaster witches!so I don't htink they are sisters! In the Rai version they are in the 4kids version no. why do they always Zeigen stormy"s underwear? No they just met and became a group at wolke tower.